I'm really excited to share a review with you today of a food that has really rocked my world recently. I received two free samples of Luce's Gluten-free Artisan Bread Mix (in Classic Sourdough and New Italian) and am here to say they are just amazing. Here are the fronts and one back of the bread mixes. They come in really nice packaging. The mixes are really easy to use. In fact, you literally just add water (just like the front of those packages say!) to it, mix for a few minutes, let it rest (I let one loaf rise, and wasn't patient enough to let the other one do the same), bake, and EAT! The package comes with everything you'll need: flour mix, dusting flour, instructions, and a bag to bake the bread in. See the long list of instructions up there? It seems daunting, but it really isn't. It's more about the technique needed to make this bread turn out just right. And, it certainly beats having to measure out each individual flour, proofing the yeast, and still being unsure if the recipe will turn out ok. This mix is a guaranteed WIN. 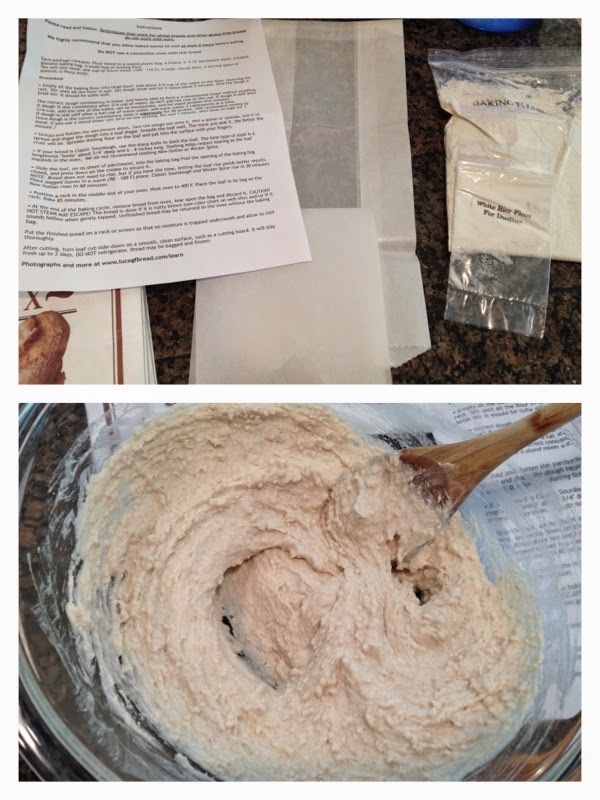 It's easy to transfer the dough to the included parchment paper, then slide it into the included baking bag, close it up, and bake for 85 minutes! 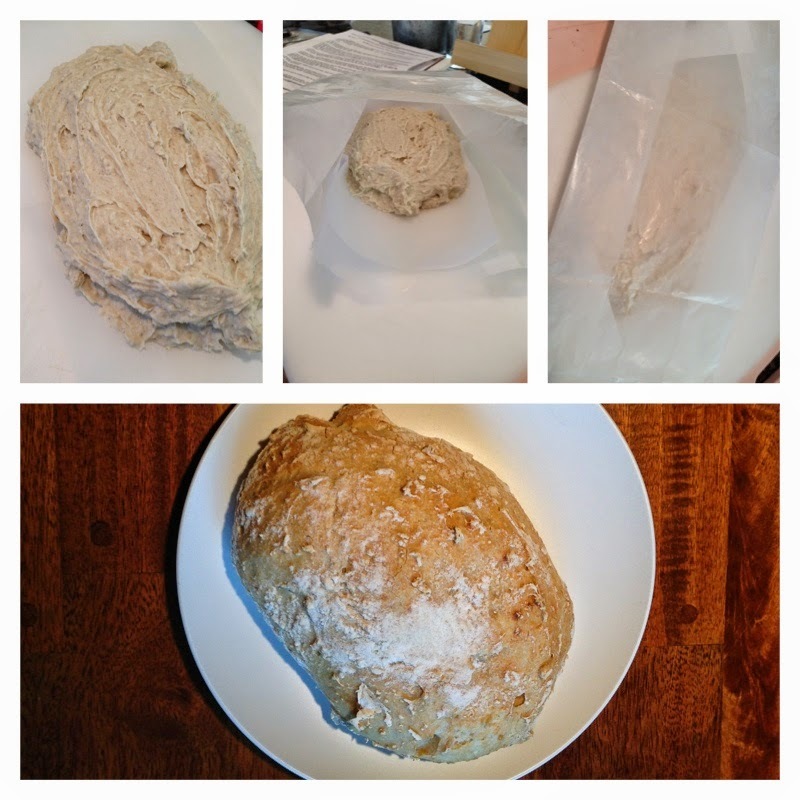 What comes out is a delicious loaf of gluten-free and vegan bread. 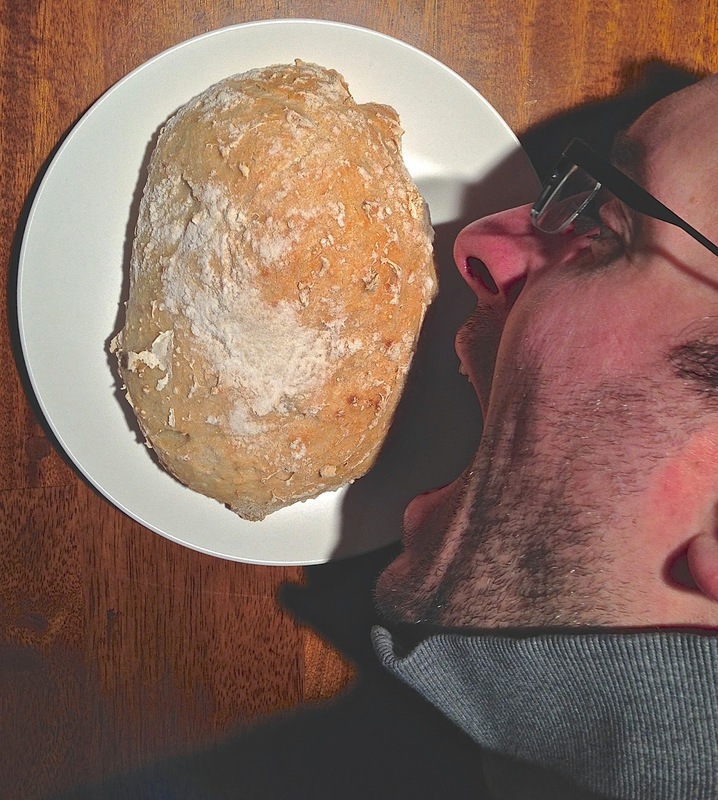 D is seen here barely waiting for the loaf of Classic Sourdough to cool before digging in! But once the waiting time was over, the breads produced were soft, tasty, and had a wonderful texture and flavor to them. We enjoyed the loaf of Classic Sourdough by ourselves, but we shared the loaf of New Italian with some friends who also really enjoyed it. Conclusion: I would absolutely eat these again. They are a bit spendy, but at the same time, my time is valuable too, and taking all the guesswork out of making and baking gluten-free bread is worth a lot to me. 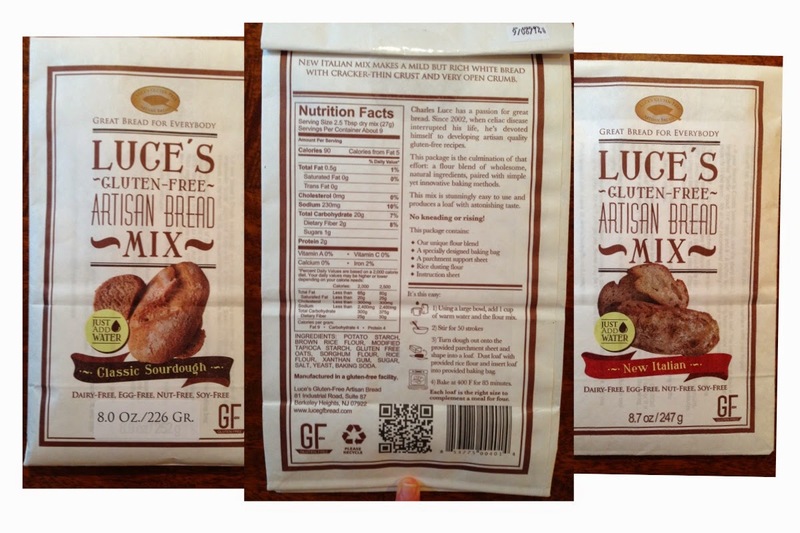 Please visit Luce's Gluten-free Artisan Bread for more information! Disclosure: I received two complimentary packages of bread mix from Luce's; however, all the views and opinions expressed are my own.